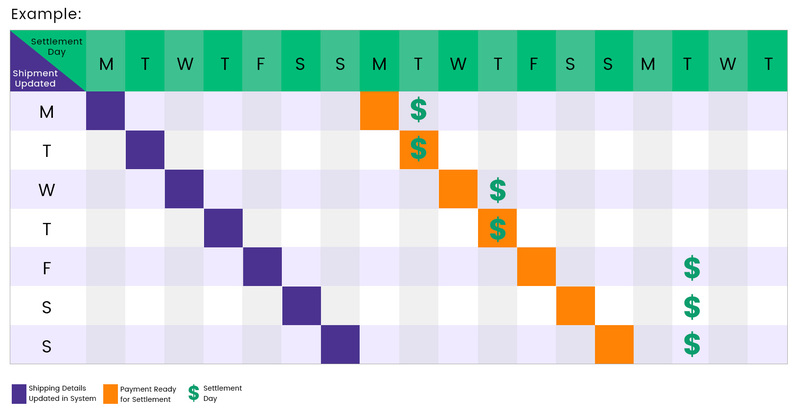 Payment will be available for settlement after 7 calendar days from the date the shipment is recorded. The payment will only process with valid shipment tracking details. 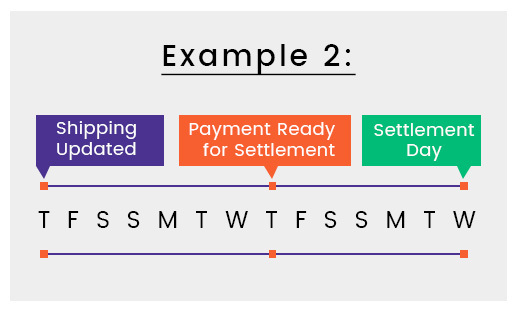 Merchant can now choose to have the option to have settlement 2 times per week (* This is not available for International merchant) or 1 time per week. 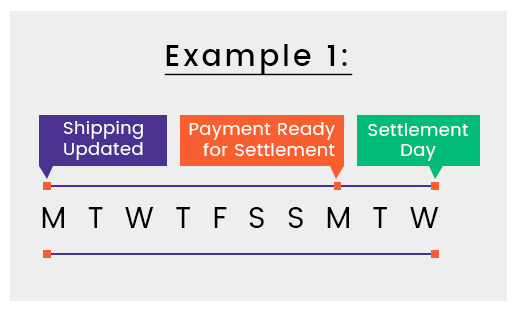 By default, every merchant will receive settle once per week and it is fixed on every Wednesday. 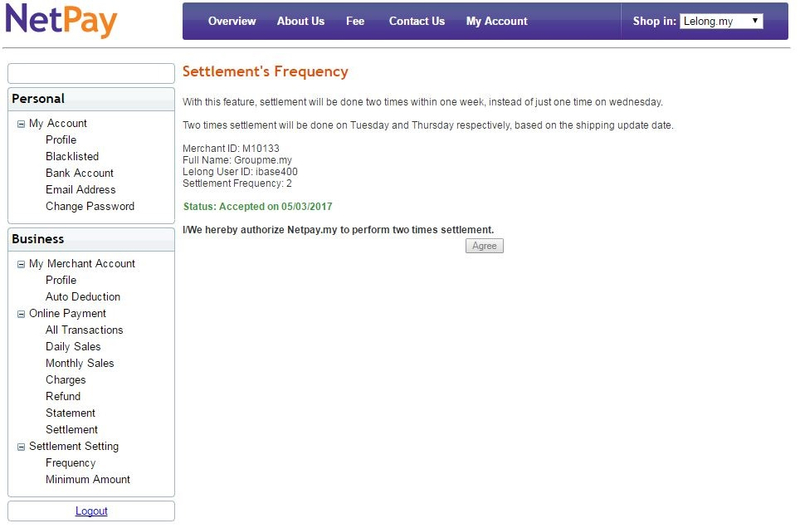 Merchant can now choose to have 2 times settlement per week and it is fixed on every Tuesday & Thursday. 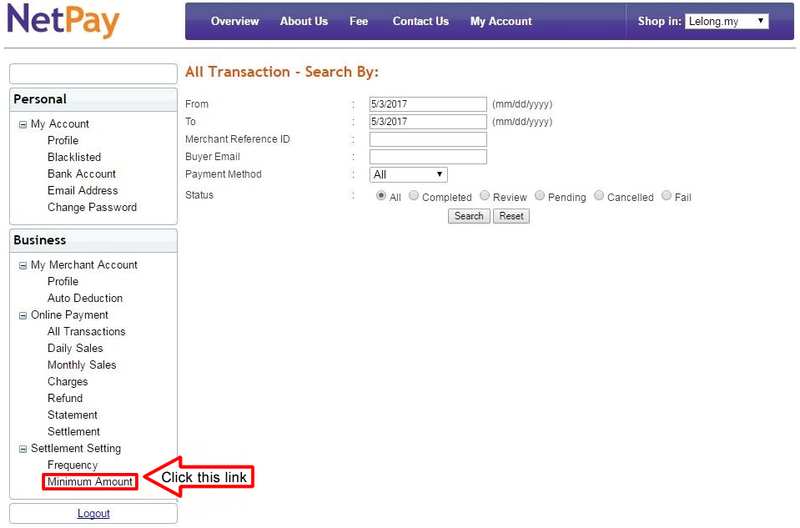 Merchant can choose this selection in the NetPay system as per the instructions below. Note: Merchant can only request 1 time from the system. 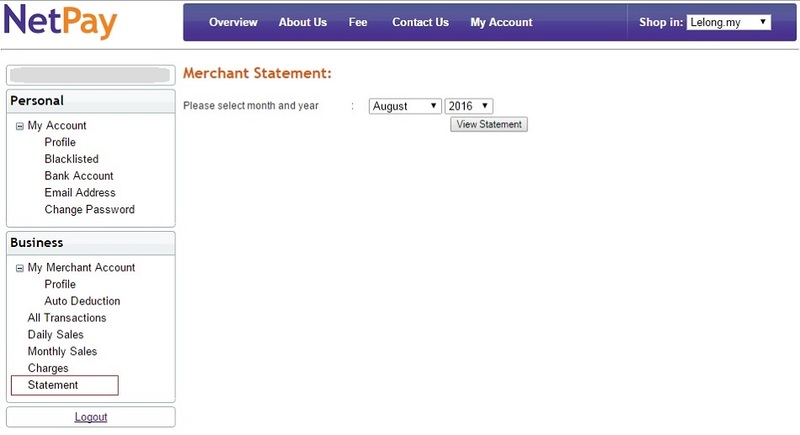 To revert to previous arrangement, merchant will need to contact support@netpay.my directly. 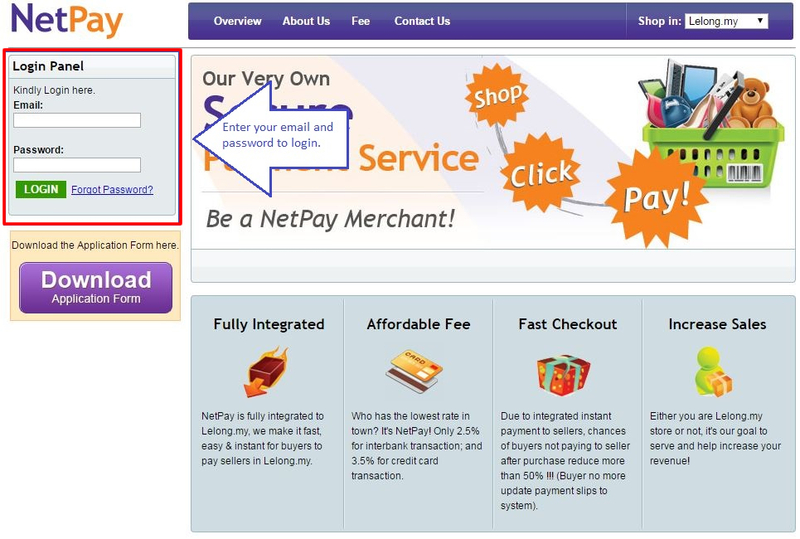 Go www.netpay.my and login with your email and password. 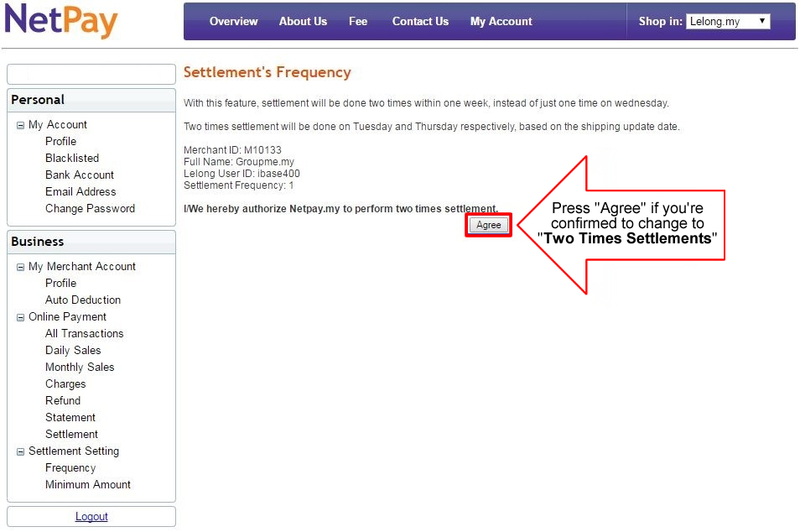 After login, from the left panel, go to “Settlement Setting” then “Frequency”. 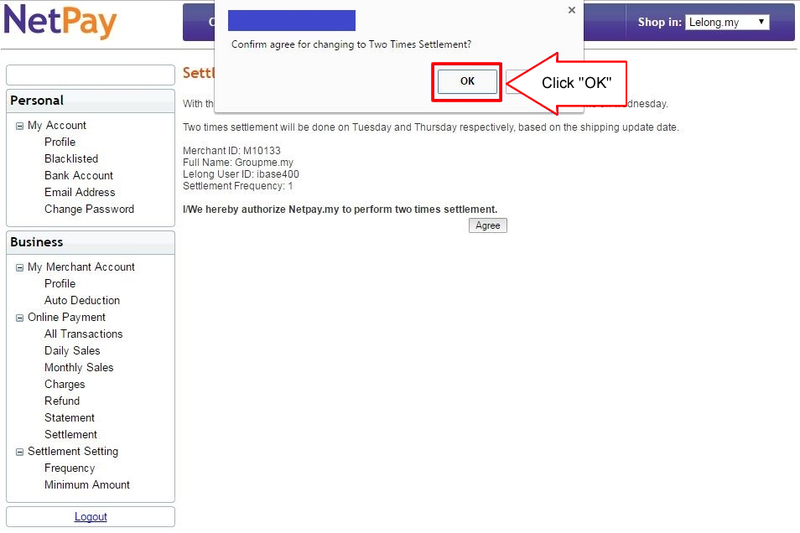 To confirm the change of settlement frequency, click on “Agree”. From the pop up banner, click “OK” to proceed. The settlement status is updated in real-time. The payout will be reimbursed via direct bank transfer into merchant’s dedicated bank account. The floating period of such transfer is within 1-3 working days, and it is subject to the merchant’s financial provider/ bank. * This is not available for International merchant. 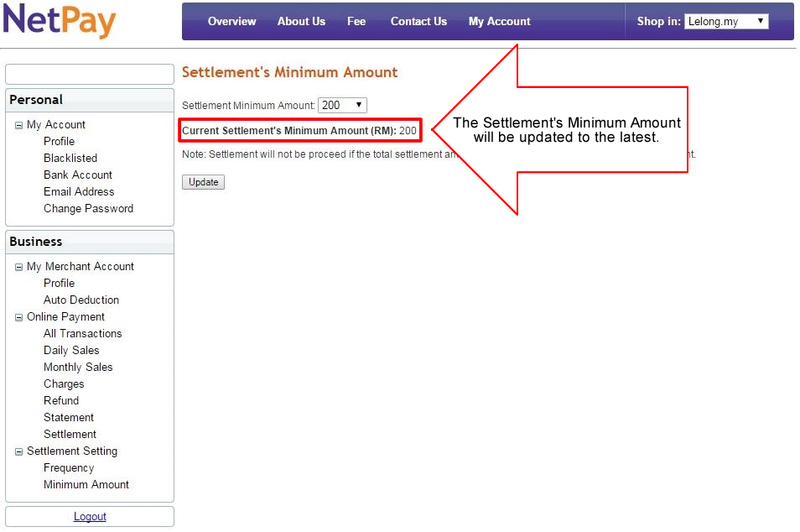 After login, from the left panel go to “Settlement Setting” then “Minimum Amount”. 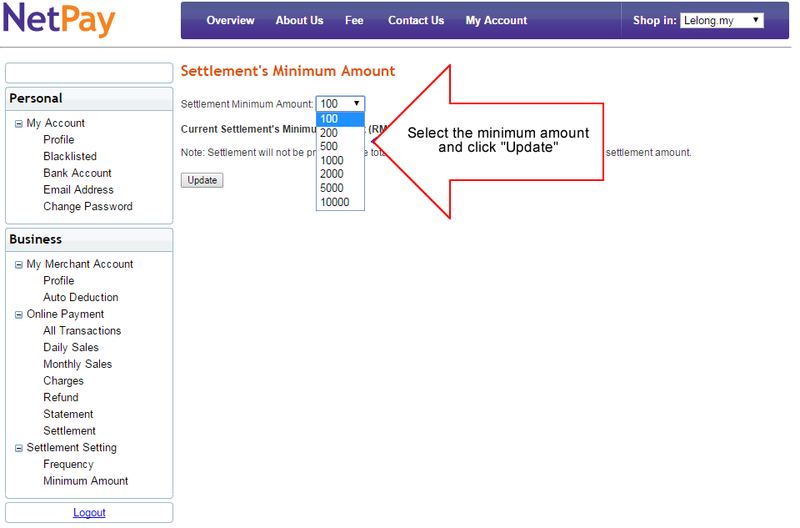 Select the desired minimum settlement amount and click “Update”. The latest minimum settlement amount is updated in real-time. Merchant is fully responsible for any dispute and/or discrepancy of payment to be found from time to time. If the merchant’s chargeback level exceeds 1% for 3 consecutive months, the merchant’s account will be terminated immediately. * these are subjected to change from time to time, and may vary from merchant to merchant. NetPay only accept credit cards with 3D Secure compliance (3D Secure Code). Merchant is required to advise the buyers to register their existing credit cards to enable online 3D Secure service. The merchant is required to provide supporting documents for at least 3 months such as invoice, proof of delivery, etc. for NetPay to assist merchant to challenge the chargeback with card issuer. 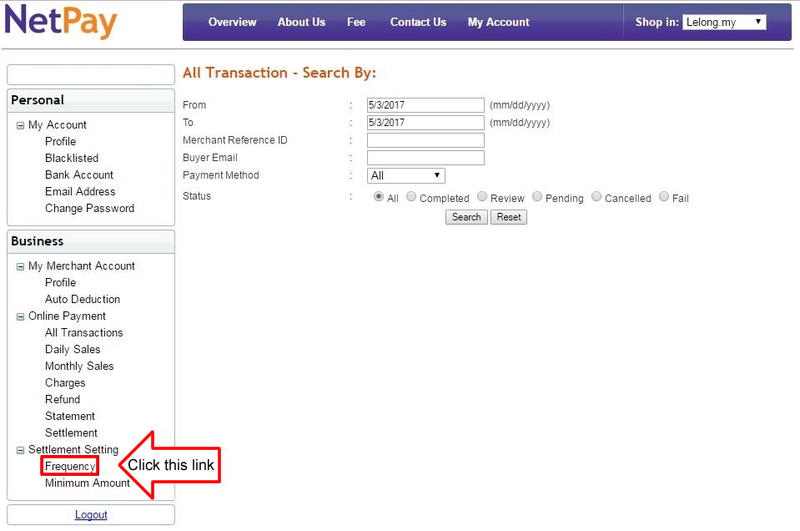 How to check Settlement List in NetPay Account? a.Merchant Address as per registered. d.Nett Amount after deduction of NetPay Transaction Fees + GST. e.List for Weekly Settlement – click to view settlement details for particular week. a. Total payable amount for settlement. b. GST on Total NetPay Transaction Fees. 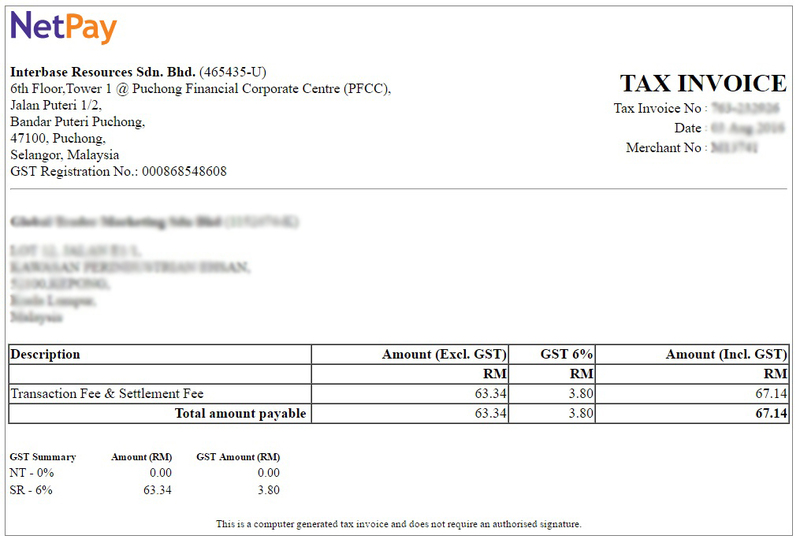 e. To view Tax Invoice for NetPay Transaction Fee & Settlement Fee. 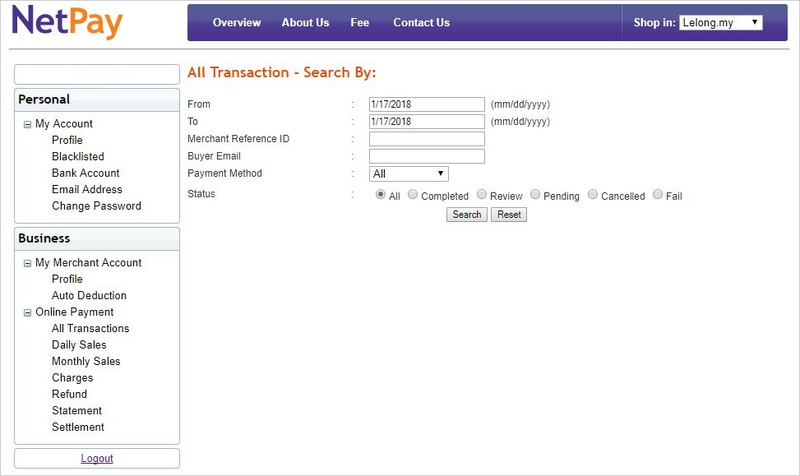 International merchant are unable to set frequency and minimum amount. Default setting of frequency and minimum amount for International merchant is 1 time per week settlement and RM 1,000.00.